While in college, Takako Yamada was determined to brighten the days of impoverished Filipino children through sports and leisure activities — a right she believed some of them had been deprived of. The student, now 32, said that at the time, she believed her efforts would lift burdens, especially for the street children, and help them pursue an education. But she now believes it was just a Band-Aid approach that would not fully address the deeper issues deriving from uncertainty about the future and employment — issues that prevent young people from pursuing their dreams. Sept. 9 marks nine years since Yamada launched an English school that offers online courses for Japanese people from her office in Cebu province in the Philippines, where trained Filipino teachers are hired. The Waku Work English project led Yamada to be chosen by the World Economic Forum as one of the inspiring young people working to address regional and global challenges. But the project is only one of a series of initiatives she has worked on in both the Philippines and Japan to encourage children to shape their own futures. “I wanted to give those children opportunities to realize their dreams,” Yamada said during a late August interview in her hometown of Yugawara, Kanagawa Prefecture. Yamada does not call her work a form of assistance, although the young Filipinos working at her school are often former street children who can’t afford much more than an elementary school education without the job. Yamada’s interest in the developing Southeast Asian country emerged when she was attending Keio University. During a trip to Saipan, she happened to talk with a middle-aged Filipino man who had spent 20 years performing low-wage jobs there to support his family in the Philippines. 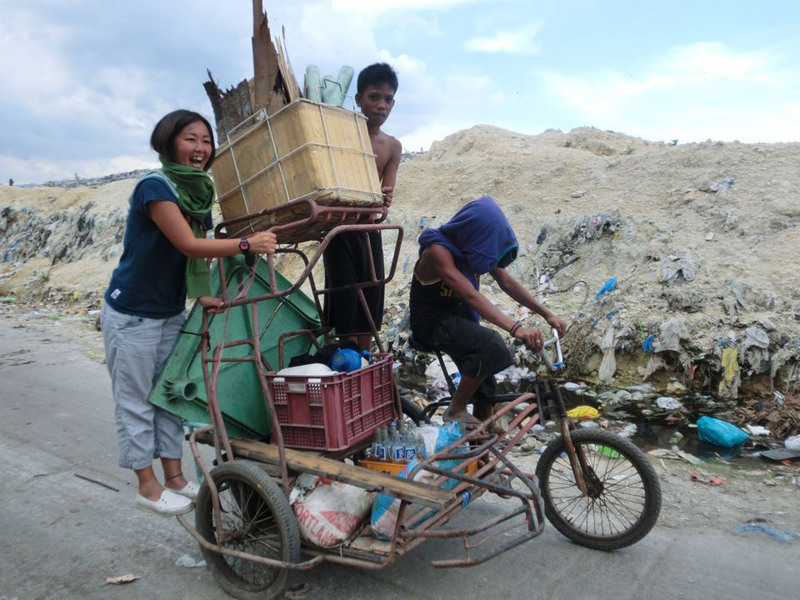 She then visited the Philippines to learn more about the struggles faced by its people. 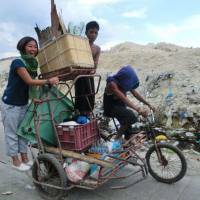 She listened to their stories, accompanied impoverished Filipinos to dump sites and observed how poverty pushes young people into the streets. She wanted to help them enroll in school so they would not have to spend time searching through the garbage or selling trivial items in the streets. She also wanted street children to make the most of their childhoods and invited some of them to play games, only to be criticized by their parents. “I was shocked when the mother of one boy scolded me for making her son abandon his duties — no earnings meant the family had nothing to eat” she recalled. That wasn’t the help he needed, Yamada added. The failure became a lesson that changed her perspective on helping the underprivileged and prompted her to think about sustainable solutions to poverty, she said. 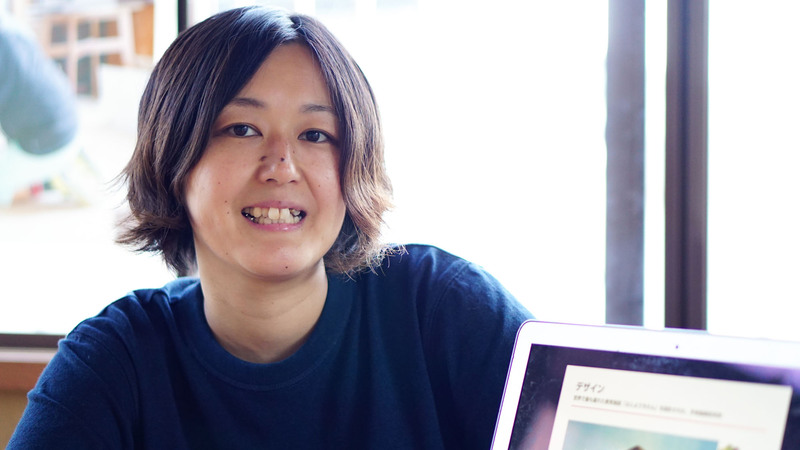 To create a platform that would enable Filipinos to become independent, she started off by borrowing ¥2 million from her parents and opening Waku Work English in 2009, during her first year of graduate school at Keio. The name is a play on the Japanese onomatopoeic word wakuwaku, which Yamada translates as “inner motivation to live,” and the English “work,” and was described as emphasizing a commitment to providing high-quality service. The school offers lessons via Skype. Yamada summarizes her efforts as a win-win solution: By creating an opportunity for underprivileged youths to reach their potential and by creating jobs, she is also helping to address the country’s social issues. It is also an opportunity for Japanese people to raise their English proficiency and boost their confidence. Waku Work even offers classes to Japanese schools, such as Meiji Gakuin University in Tokyo. Technically, public elementary schools in the Philippines are free and all children may enroll. But according to UNESCO, as many as 483,240 children were not enrolled in 2015, and only 75 percent are believed to make it to the last grade of elementary school. The ratio is even lower for secondary education. Yamada said that what differentiates Waku Work English from other online language schools is that most businesses offering similar services don’t employ teachers full-time; Yamada’s school does. Yamada recruits teachers, many in their late teens and 20s, with help from nongovernmental organizations and institutions that provide support for the needy. They can then take a professional English-teaching course and live on monthly allowances that help them further their studies. As part of the project, they also give free English lessons at the orphanages and slums they grew up in, serving as role models for younger children. Yamada estimates that some 9,000 children have taken the courses. “They leave a huge impact on children who have had similar life experiences. They have the power to empower younger generations,” Yamada said. Over 50 Filipinos have been recruited so far, with some going on to find jobs as public school teachers or in accounting. But Yamada is aware that providing easier access to quality education won’t necessarily open the doors to a fulfilling life, and that many students might end up returning to the streets. In a different program she launched in 2012, Yamada focused on reaching out and drawing attention to impoverished Filipino adults whose financial situations often force their children to drop out of school and return to the streets to support them. Under the Learning Journey project, Japanese people tour slum districts and engage in exchanges with the people living there. Filipinos who join the project can, for instance, apply for a job at a cafe to get work experience. So far, about 1,000 Japanese and Filipinos have participated in the study tours. Yamada remains ambitious. In 2019, she plans to open a vast facility aimed at providing educational and work opportunities for young people in Cebu on a broader scale. “Young people who are highly motivated and can afford it leave the country — go to the U.S., Europe or Vietnam. But I wanted to create opportunities for locals living in poverty, within their own country,” she said. The center will be situated in Barangay Lorega, a former slum area in the city of Cebu devastated by fire several years ago. The three-story building will comprise a day care center to help working families, an area with access to professional courses on information technology or other fields suitable for the local market, and space to run their own shops. Yamada also plans to introduce Japanese classes. “We estimated the number of career paths children dream of at around 100, and we plan to open this many businesses,” Yamada said. The facility, which will cost roughly ¥55 million, will be partly funded through donations and crowdfunding. As a plus, the municipal government of Cebu is letting her use the land for the site rent-free for 25 years, as a symbol of the region’s reconstruction. Yamada appears resolved to address the poverty situation in that time frame. “If the center exists 25 years from now, we will have failed,” she said. Throughout her time in the Philippines, Yamada, who has two children, has also taken closer notice of the struggles of Japanese children and the pressure they feel to conform with social norms. In November 2016 Yamada opened a community space in her hometown aimed at bridging generations. The site, a vacant home in Yugawara renovated with help from local children, serves as a venue for young people to unleash their potential, boost their self-esteem and learn about life from their seniors through discussions or joint projects. “We’re striking while the iron is hot, to prevent children from potential problems in the future,” she said. “In small towns and rural areas, children have few opportunities to participate in activities outside schools.” The project also helps motivate elderly residents, she added. 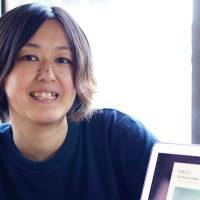 The project is run in cooperation with Keio University, where Yamada now works as a project research associate at the Graduate School of Media and Governance. She is also working with the Yugawara Municipal Government. About 2,000 people, mostly children, have visited the space and engaged in projects since its opening. In one project run in cooperation with a local eatery, the children acted as vendors selling tangerine juice, utilizing a local delicacy. Yamada said she was planning to launch similar projects nationwide. Yamada also wants to involve young Filipino people in efforts to revitalize faltering regions in Japan. 2005: Encounters a Filipino man whose story inspires her to empower Filipino youths. 2008: Graduates from Keio University’s faculty of environment and information studies at Shonan Fujisawa Campus. 2009: Enrolls in Keio University’s social innovator course; launches online English school Waku Work English. 2012: Launches Learning Journey study tours. 2013: Becomes finalist in Nihon Keizai Shimbun’s Nikkei Social Initiative Award in the international division. 2016: Opens community center for people of all ages in Yugawara, Kanagawa Prefecture.